Buy the printable map of Everest issue, complete the form on page 4, and will send to your home at no extra cost the DIN A1 POSTER!! Free! 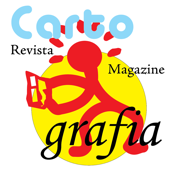 CartoGrafia is a Magazine specialized in explaining travels and science through maps. Do you want an app that specializes in something so unique that you may not understand it fully yourself? If so, then you may want to seriously look into the CartoGrafia Magazine for something special. The app is all about the art form of explaining both science and traveling through maps. The real beauty with the CartoGrafia Magazine is that it has been specially designed in order to show you, the user, maps, pictures and even videos that are all highly interactive. It is literally like having a lush, visual feast come alive right in your hands. To put it another way: If you truly enjoy quality maps, then this is the only app that you will ever need. A map of Mount Everest is just one example of the stuff that you can see by way of this app, right on your handheld device. Besides that, there are obviously a whole bunch of other maps that you can get your fill of.